As I am writing this, I’m huddled in a small corner of my living/gathering room, trying to get my work done surrounded by boxes, tools and the the sound of construction. That is a good problem to have though, so I’m not complaining. Although poor Jack doesn’t know quite where to go — he feels a bit out of sorts! All of our furniture is being displaced again (to various corners and other rooms), this time for the new wood flooring that is going in my entry and connecting kitchen family room! 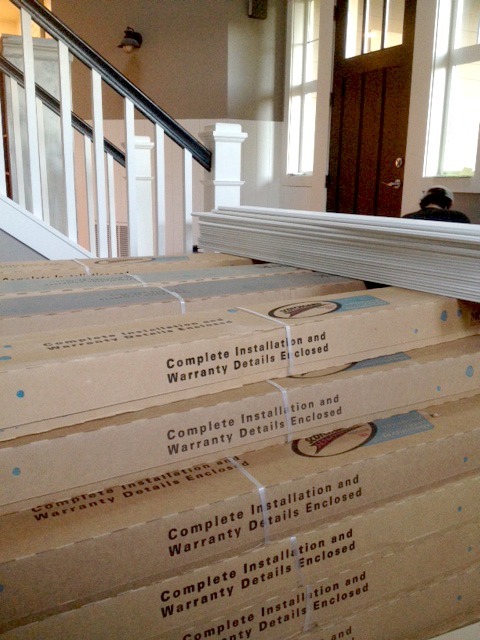 This week they delivered boxes of new wood so they can get acclimated to the temperature of our house, and contractors are taking out all the existing flooring and carpet to prepare for the installation of the new flooring. This is a VERY exciting step, as it means the final details of our home projects are coming together! 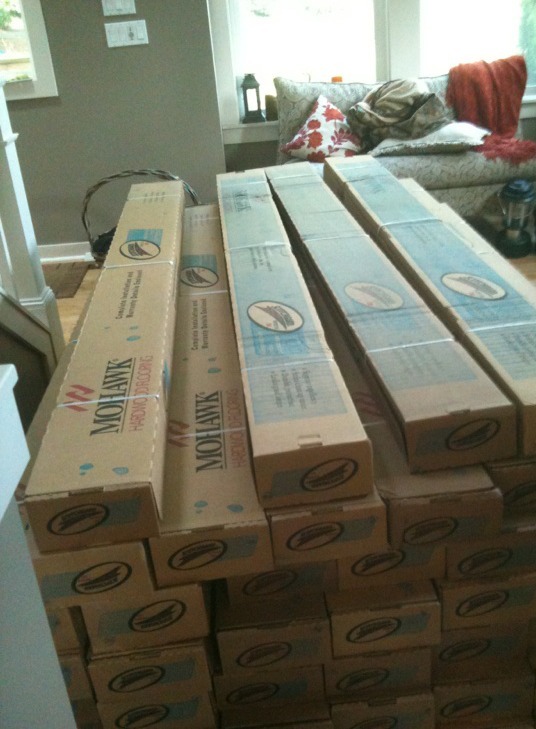 Having new flooring installed in several rooms of the house at once is a bit daunting. In fact, as you can see from our phone snapshots, we can get one room looking pretty good and then stuff gets piled up in it so we can work on the next room! I dream of the day when all of the rooms are DONE at the same time! Ha! I know many of you have mentioned wanting to install new wood floors in your home, but the whole process really seems overwhelming. Fom the many factors that go into choosing the flooring (so many options! OH MY! ), to deciding how many rooms to do (where to stop flooring can be an issue in open floor plans, as well as the expense involved of doing multiple rooms) to dealing with the mess, to moving furniture for the project, ripping out old flooring and then getting things put back again … it’s a lot of effort. But after the past few years of craziness, I was ready for some updates around our house! I know all the effort will be worth it. And that is just how it goes with home projects, they often start out messy and end up beautiful. I’ve had quite a few reader questions about the wood we chose, so I thought today I’d give you all more details on the process so far in case this is a project you might be considering in your own home! 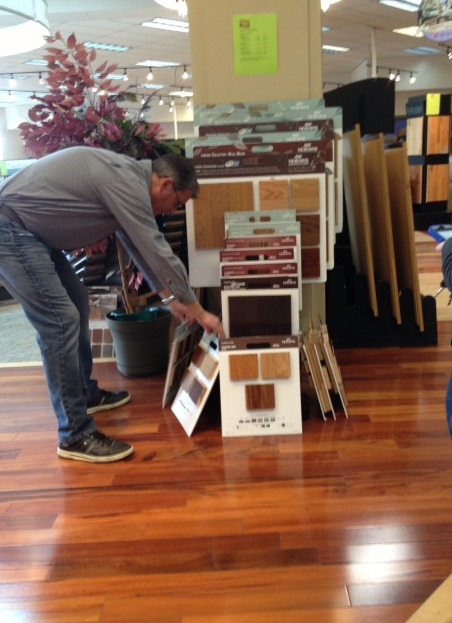 To begin selecting our new floors, my daughter and I took a trip over to visit the Nielsen Brothers showroom in Auburn, WA a few weeks ago. We were able to check out all the beautiful flooring options, ask questions and get professional advice on our flooring project. They have been extremely helpful! We had a few complicating factors in our flooring decision process, such as the fact that we had some existing sections of wood flooring that we couldn’t keep due to the kitchen remodel, as well as the fact that the previous wood floors in the house were actually engineered wood and our new flooring was hardwood, so connecting the two types of flooring really didn’t always work like I had originally planned. Taking all those issues into consideration, as well as the fact that the rooms in our house are fairly small and the main rooms open to each other, we confirmed our original thought that consistency in flooring would be the ideal way to go! We are relieved to be working with contractors who have experience and skills to get this job done right. TIP: When remodeling with contractors it is helpful to ask a lot of questions. I might borderline on annoying them with all of my questions, but contractors are usually very knowledgeable about their expertise and can save you money by helping to make the right decisions the first time! I ask questions of store managers, contractors, and installers because they will all have varying perspectives that are helpful. I learn so much that way! 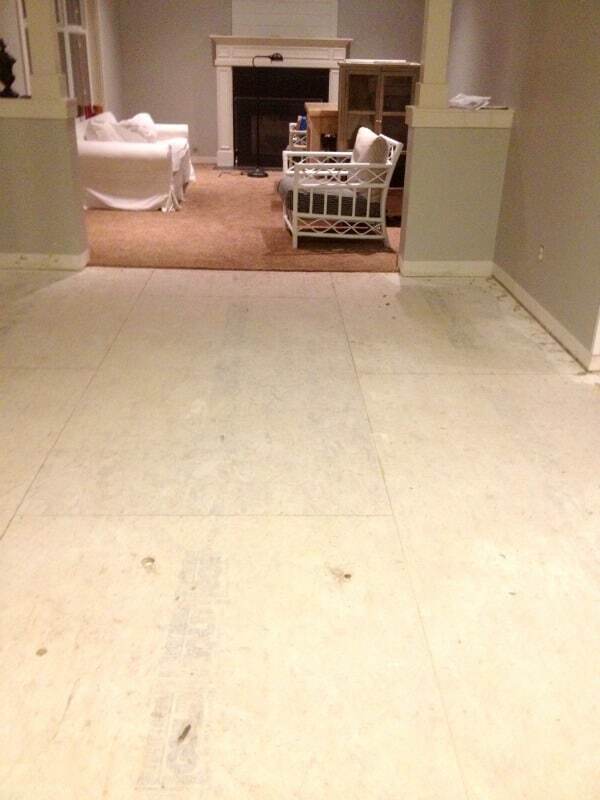 After Nielson Brothers came out to measure our space and we approved our estimate, we were ready to go! The damaged flooring in the kitchen was removed this week, the carpet in the family room side will be removed next week and the new Hickory hardwood flooring will be installed throughout this space as well as the adjoining entry. It is going to be BEAUTIFUL! The new flooring throughout our main floor is 3 1/2 inch wide pre-finished Hickory hardwood from Mohawk. It also comes in a 5 inch wide board, but given the small size of our rooms, it was recommended to stay with the 3 1/2 inch boards so the wood wouldn’t overwhelm the space. 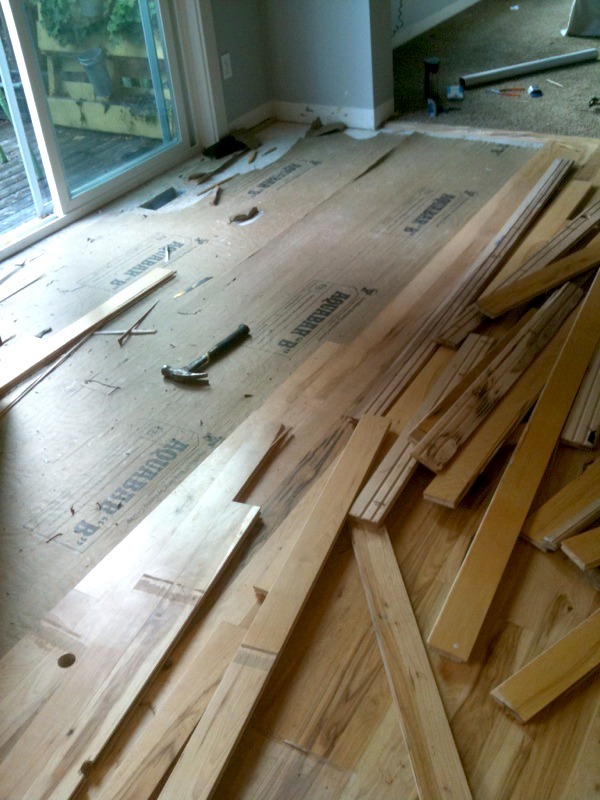 The beauty of prefinished flooring is you are able to install it finished, avoiding the extremely messy and smelly process of finishing hardwoods after installation. That is kind of a big deal! Being in the NW, we live with a lot of dreary gray days. These floors (as pictured in our bedroom) not only capture the beautiful natural wooded vibe of the NW (as in lots of forests and trees! ), but the beautiful tone of the floor reflects a lot of light and brings warmth to our winter days! Hickory is a beautiful multi-toned hardwood with variations that range from very light blonde tones to dark wood grain. I just love the character and warmth real wood adds to a home. However, even in laminate there are some fantastic quality real wood looking options these days so definitely see what is available that suits your needs and budget! 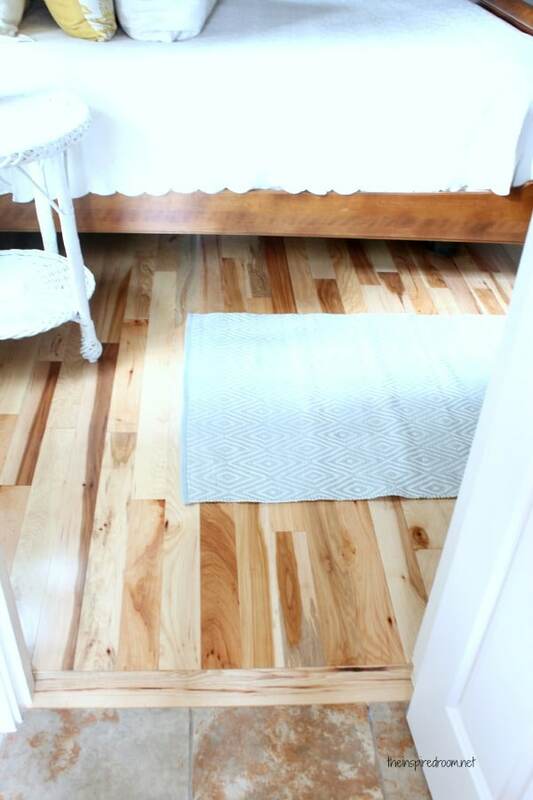 I’ll be talking more about our Hickory wood floors, their maintenance and upkeep in a future post! And if you have any questions along the way, feel free to ask in the comments and I’ll do my best to answer them! 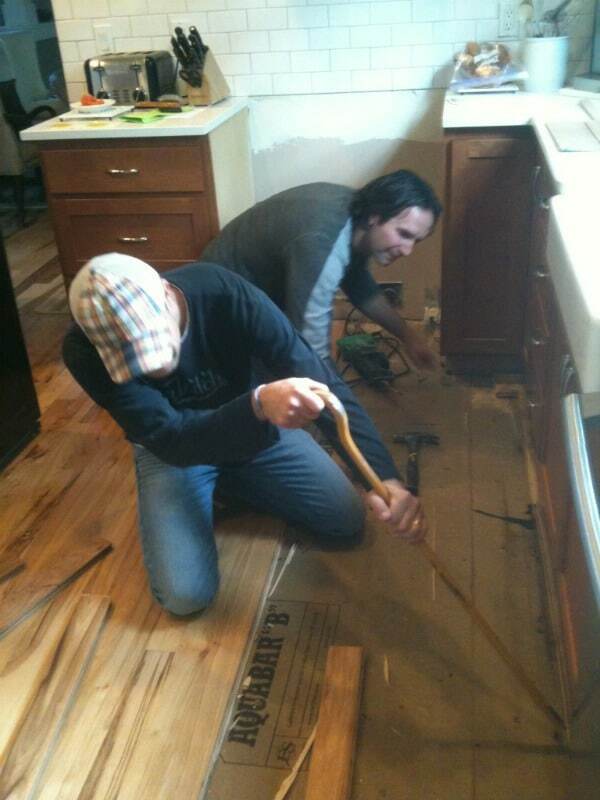 For those of you who have tackled big remodeling jobs at your home, was the end result worth all the fuss? What recent home improvement projects have you worked on? 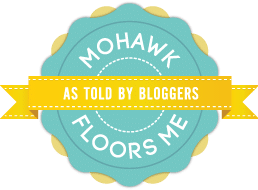 I’m partnering with the “Mohawk Floors Me, as Told by Bloggers” program and received hardwood flooring as a part of the project, but as always, all opinions, experiences, home projects and piles of clutter in my photos are my own.